Open Box Livewire Elite 12g 1/4 in. 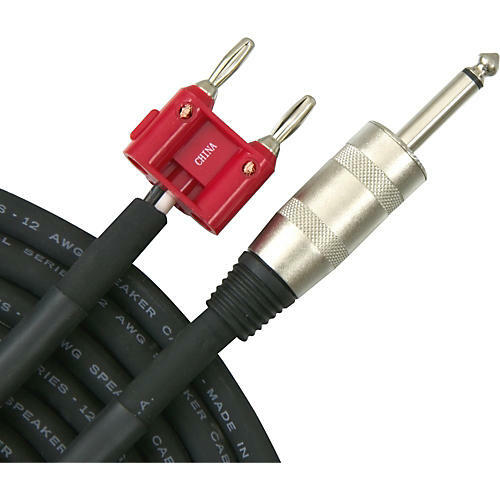 Banana Speaker Cable 100 ft.
1/4 in. mono male to banana. 12 AWG. Livewire Elite cables have the strength and durability to withstand more than everyday use. Sturdy construction of a Live Wire Elite cable enhances signal and performance. Flexible design eliminates kinks and twists for a tangle-free performance whether you're in the studio or on the stage.